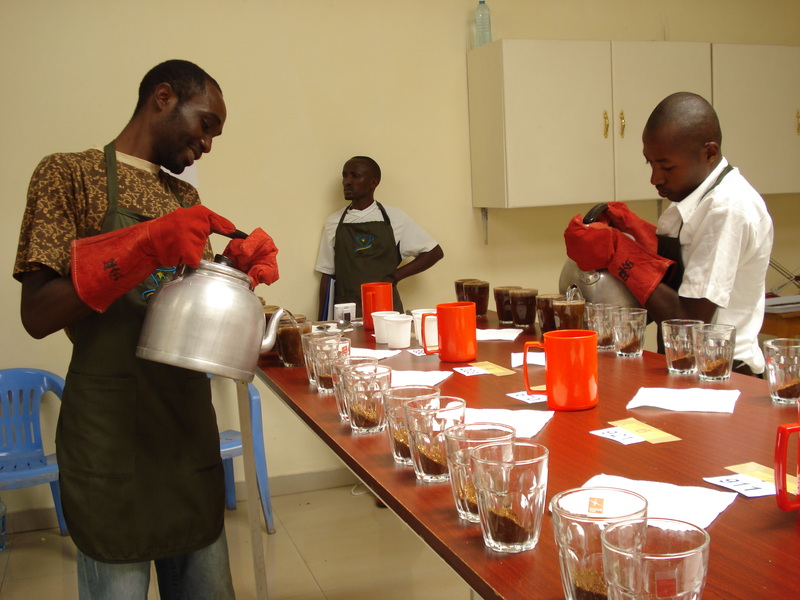 Earlier this year I was lucky enough to be selected to partake in the 2012 Cup of Excellence in Rwanda, this was the country’s fourth competition. After partaking in the El Salvador COE 2011 as an observer I was nervous and excited to judge for the first year. Rwanda was my first choice of country as I went to El Salvador last year and I wanted to go somewhere completely different and see how differently things are done. I flew into Rwanda’s capital Kigali where the jury stayed the night before driving straight to the lab in Kayonza district which is east of Kigali. Driving out to Kayonza it struck me how clean and tidy everywhere is- so clean and everyone is so house proud. The amount of people I saw outside of their houses sweeping and cleaning was amazing, I don’t think I’ve ever seen that in the UK. I was told later on that once a month everyone has to get out and clean the streets from rubbish hence why the streets are so clean. 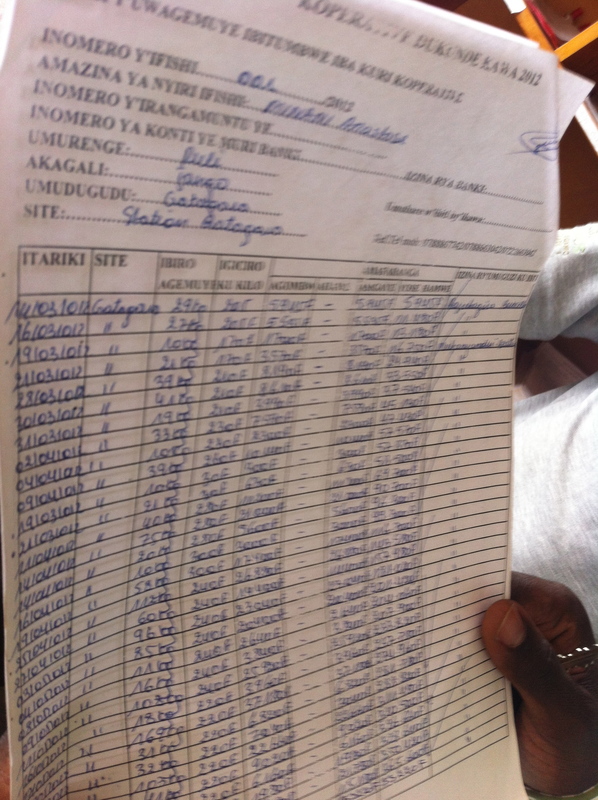 When we arrived in Kayonza we went straight into calibration and getting comfortable with the sheets. In total there were 26 international jurors from Japan, America, United Kingdom, Germany, Czech Republic, and many more which created a wide and varied selection of palates which always leads to exciting and sometimes strange descriptions. The national jury had cupped over 300 coffees and whittled our selection down to 169 coffees, the national jury clearly worked very hard and I do not envy their job! The next day the hard work was meant to start, we were due to cup at least half the submissions, however we could only do 2 tables due to a power cut the night before which meant the coffees could not be roasted in time. We came to learn that power cuts are a regular occurrence. The next 2 days were spent cupping all the remaining entries which were 51 coffees, the roasters had stayed up to midnight roasting all the samples so we could cup them in time. It’s hard to imagine how much work and effort goes into running one of these competitions especially when you have to work against things like power cuts. These people make it all possible, there’s so many awesome people here I hope I get to see them again in the future! The amazing people that make it all possible! After the Cup of Excellence was over I was fortunate enough to be invited by Jo Berry from Mercanta to visit a couple of washing stations that they buy from, on this list was Buf Cafe, Kinunu and Musasa; all of which were amazing but I was super excited to go to Musasa. I have been in love with this coffee for a couple of years, but last year was the first year I have personally roasted it and was not only super tasty but it was a dream to roast. We were greeted at Gatagara washing station which is part of the Musasa Co-op by Minani who is the president of the co-op and Issac who is the general manager. Musasa has approx. 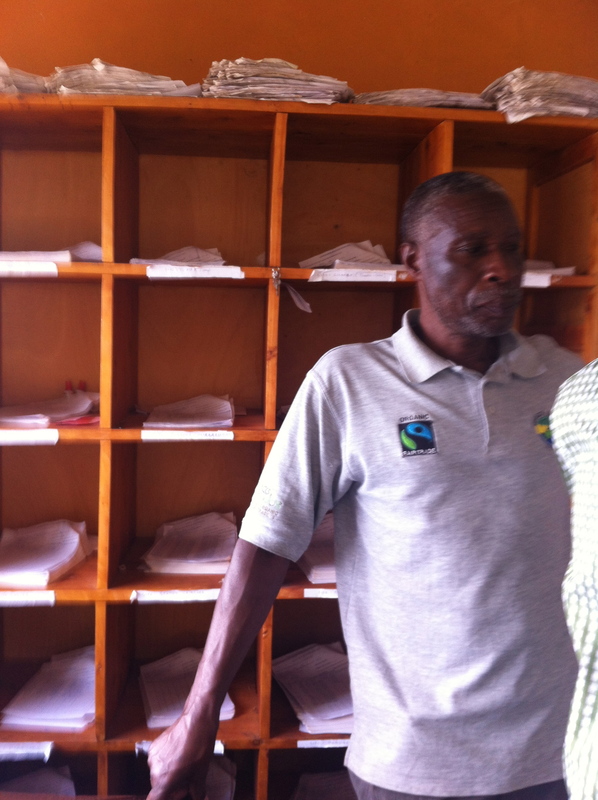 2000 local farmers that deliver coffee to be processed. Minani showed us where the coffee gets delivered and sorted by the farmers before being weighed and graded by employees of Musasa, each lot of coffee is then given a code before the processing starts. All coffee from that day will be tagged with a code that represents the day i.e. 15th of August will be 1508 and this tag will follow the coffee through all stages of processing so that it can be tracked back to a farmer if needed. Zacharie explaining the coding system. 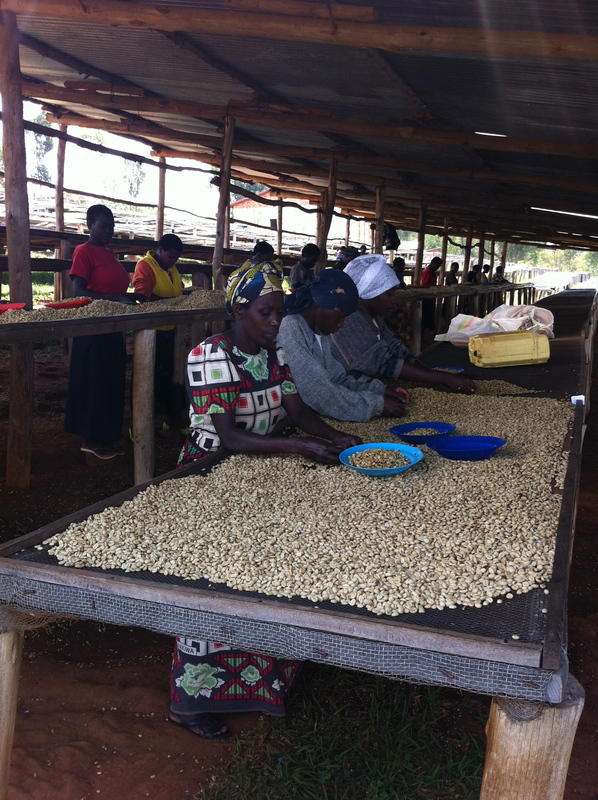 Musasa employs up to 200 people in high season, every drying table has a single person that is responsible for ensuring that the coffee is turned when needed and making sure it is cleared for the next lot when the coffee is ready. The coffee spends an average of 21 days on the tables depending on weather. Coffee in Parchment waiting to go to the dry mill. 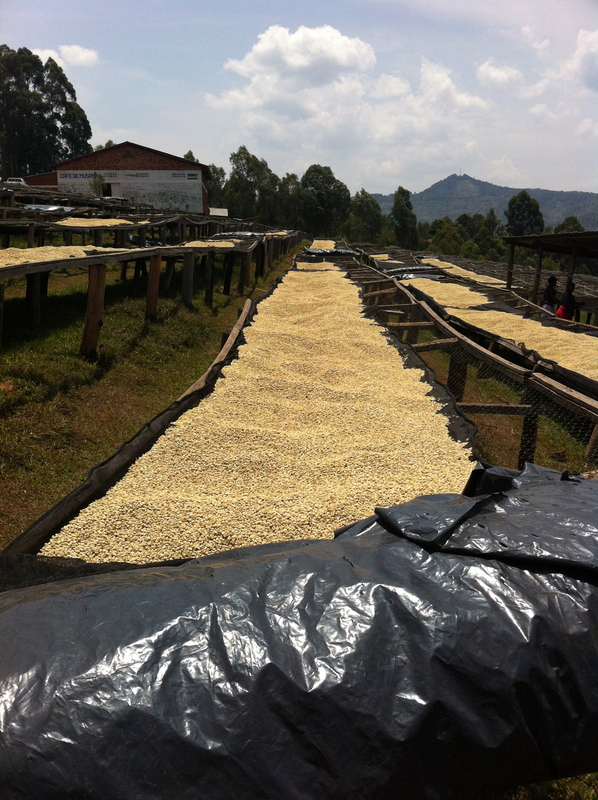 This coffee was wet processed on the 9th of August, as you can see by the code on the bag- making it traceable back to the farmers. 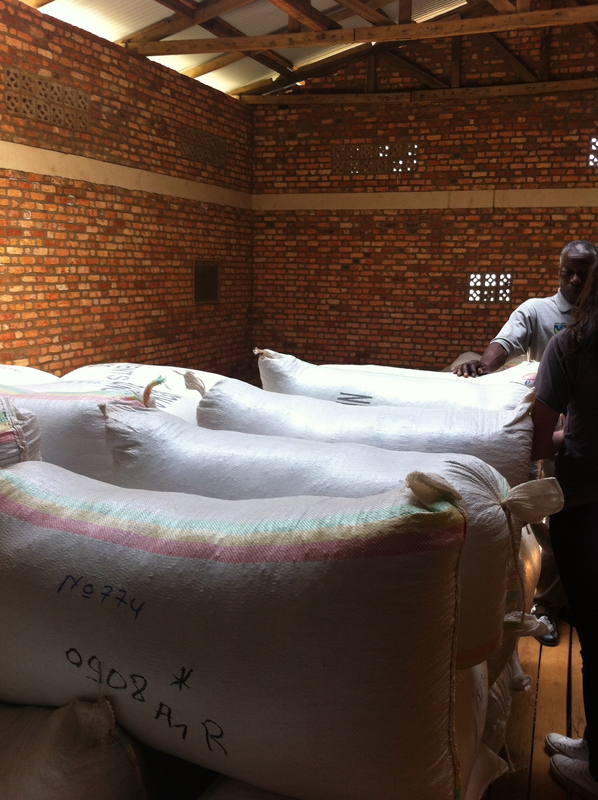 After being removed from the drying table, coffee in parchment is bagged up and stored in the warehouse to be sent out to be dry milled in Kigali, still all with their code attached to it. 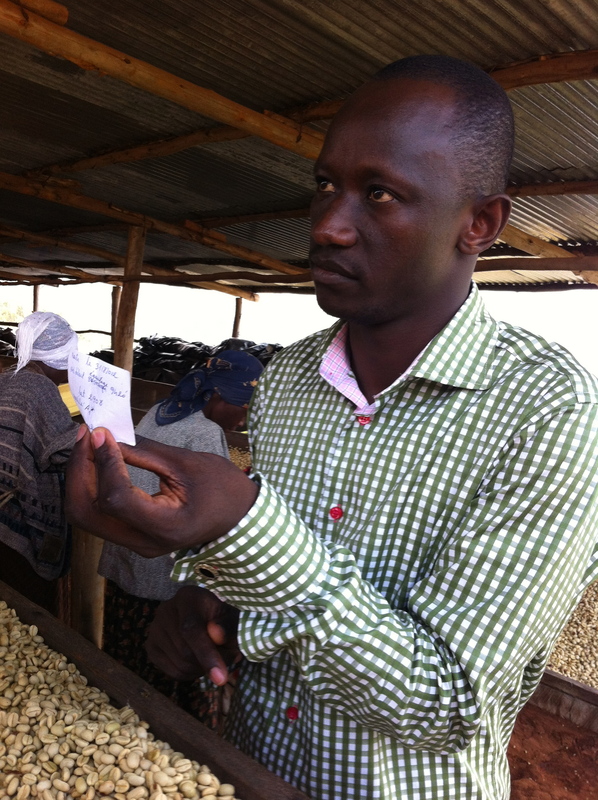 The farmer is given a receipt for the coffee which they then take to the office for payment/invoicing. The information is filed by farmers name and includes all needed information like date, bank account details, sector, district, station, amount paid, price per kilo, advance, and then it is signed by the farmer. Musasa also have a savings type scheme set up so the farmer can choose to not collect their money until they need it, they can also get advances if wanted. 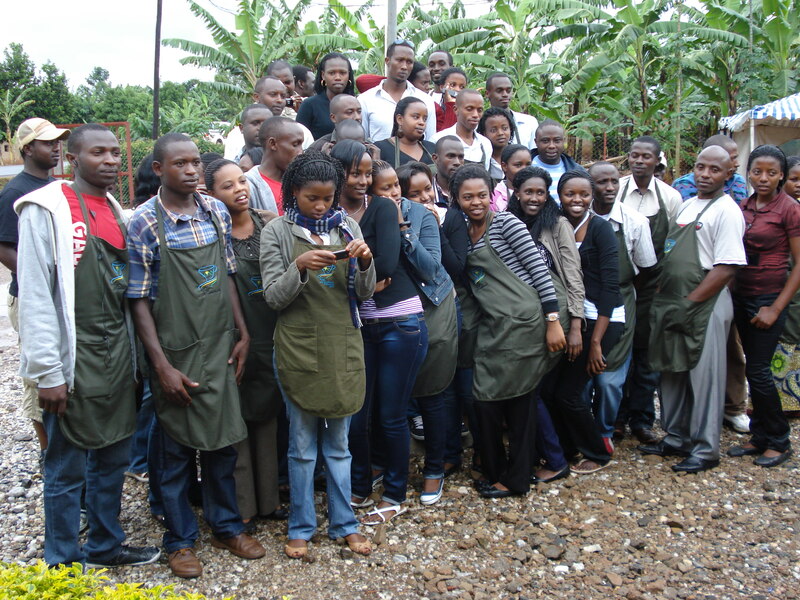 Musasa placed #18 in this competition and this system means that the farmers who’s coffee did so well will be fairly paid. Minani said that there were 20 farmers whose coffees were in the lot and they would be paid depending on the amount of coffee they contributed. Next to the station Minani has set up a small farm that is used for training local farmers on the best farming practices. This also allows the farmers to meet each other and exchange ideas and learn how to improve their quality. They also grow grass there that seeds are taken from and given to farmers to use on their land. 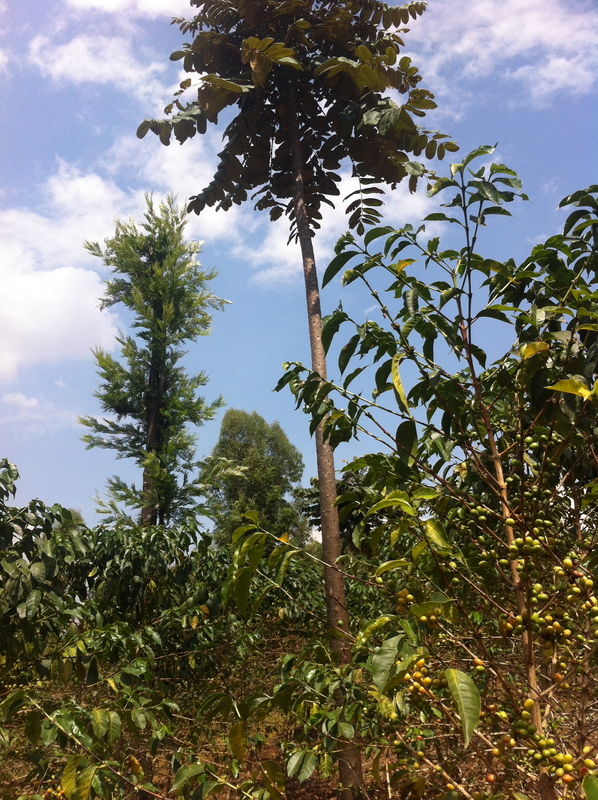 Minani teaches the farmers to grow shade trees on their land and he has been given a grant from the government for his work in replanting shade trees and helping the environment. 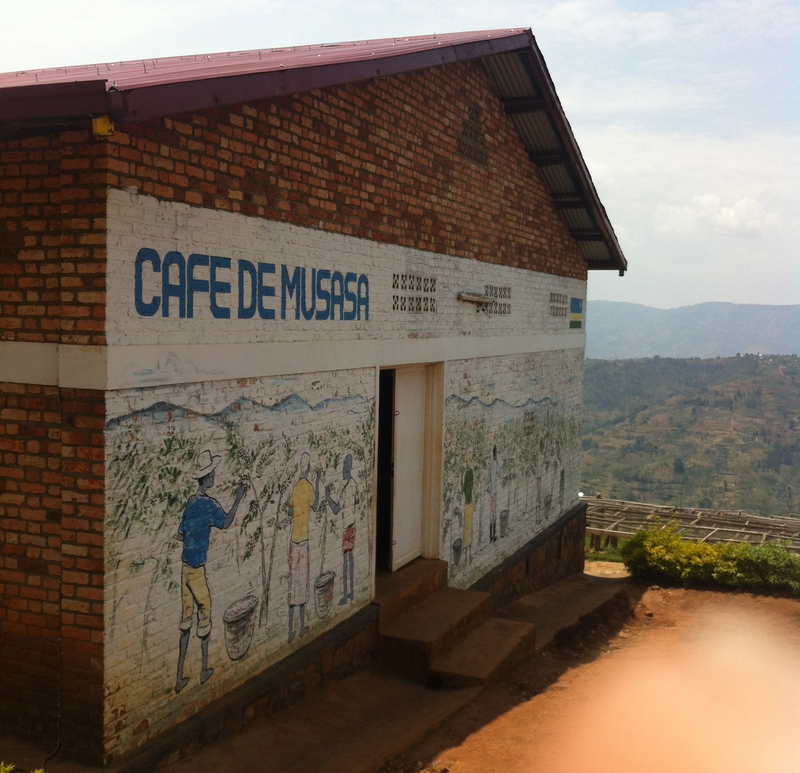 Overall I was really impressed with Musasa’s dedication to helping their farmers to be better and deliver the best quality coffee they can. They understand the importance of education in a community that does not have easy access to such things and work hard to work together. I look forward to roasting this coffee again this year and hopefully I will be able to do it justice. 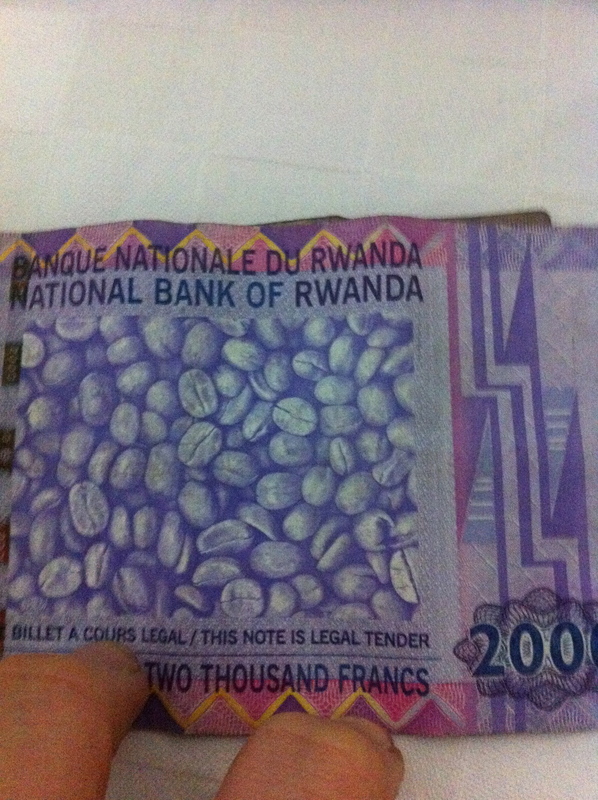 If you ever get the chance to go to Rwanda my advice would be to go, it’s amazing! The people are the most amazing, warm, caring and welcoming, the scenery is beautiful, I could imagine living here very happily, AND they have coffee on their money! 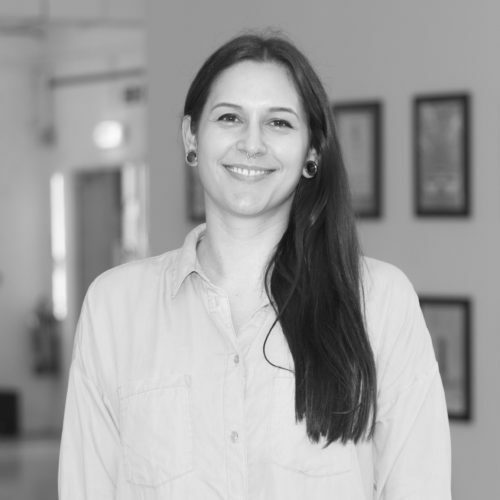 Jessica Macdonald worked as the head roaster for Square Mile Coffee between 2010 and 2014. She has now started her own roastery and green importer in New Zealand, and been a member of the cup of excellence jury.